So how exactly did Jenny Bui, probably the most famous nail artist become the ‘Queen of Bling’? How did she get clients who fly in from all over the world to get their nails done by her? Jenny Bui escaped the Cambodia with her family as they fled the Khmer Rouge genocide at the age of 14. She lived with her family in Montreal, Canada for 8 years until she got married at 22. Shortly after getting married, she moved to The Bronx where her husband was from and although she didn’t like our borough then, she loves The Bronx now according to her interview in Cosmo. Bui eventually opened up her first nail salon in The Bronx which stayed open for about 3 or 4 years. Sadly, due to lack of business, the salon shut down and that’s when she ended up in Harlem. It was in Harlem where she began putting diamonds and bling on the nails of her customer after being inspired by a Japanese catalog and although folks thought her nails were “ratchet”, eventually folks came to love it to the point that “now everybody does it” as Bui tells Cosmo. Around 2012, in walked a “regular, degular, schmegular” girl from The Bronx aka Cardi B. This was before Cardi became famous says Bui. It was true, they didn’t look nice. Cardi always does stiletto nails. People send me stuff hoping that I’ll use it on Cardi, but if it’s a rhinestone and not real Swarovski crystal, Cardi can tell the difference. She’ll say, “Jenny, why isn’t this bling right here shining? They’re not Swarovski, right?” And I’ll say, “You already know.” She gets her nails done by me once a month. Even if it’s just a small event, she doesn’t let anyone else touch them. She always comes to the salon too. I’ve only gone to Cardi to do her nails twice, and once was the Grammys this year. She rarely asks me to go because she knows I’m busy, and I have to support my kids who are still in school. She’s very respectful of my time. She pays me now, but there would be times back then when she’d want to pay me, and I’d say, “It’s OK, I won’t charge,” or, “I’ll charge you half price.” I did that because I really liked her and because she gave me a lot of respect. She treats me like I’m a special person, like I’m not just a nail tech. I look at her like she’s my daughter, and she looks at me like I’m her auntie. Shortly after Cardi started posting her nails and tagging Bui on Instagram, Bui began getting even more followers. Now she has clients who fly in from around the world just to get their nails done by her. 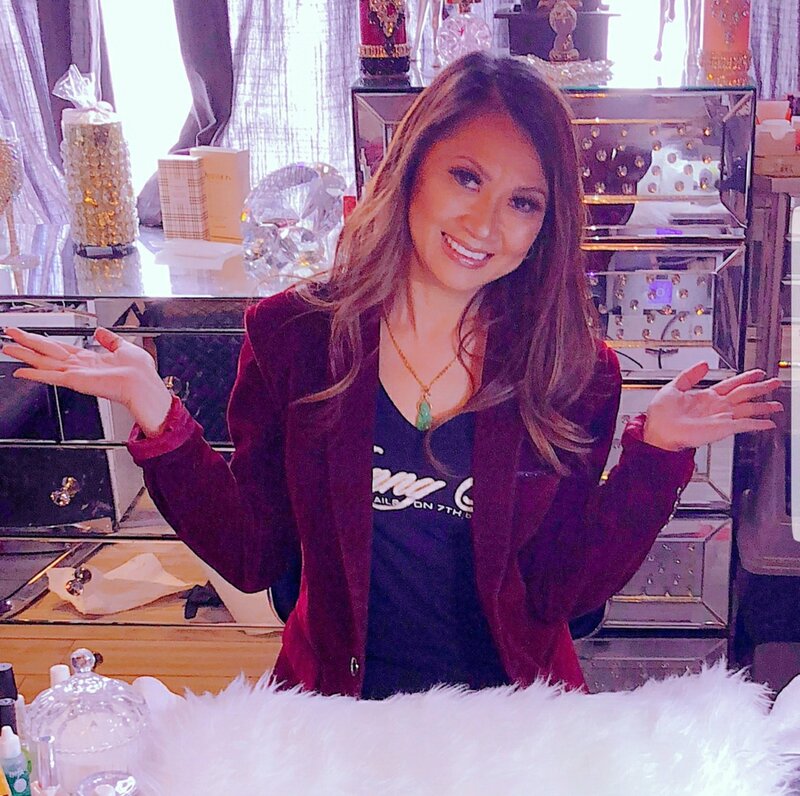 Last October, The Queen of Bling opened up shop again in The Bronx in the Fordham Road section of our borough and of course it’s all blinged out too. Not bad for someone who escaped so much in life and built her own little empire. Holland Textiles Celebrates 1 Year Anniversary With Major Sale—And Food!